The IS-33 is a lightweight open face style helmet that offers optimum comfort and a high quality fit thanks to it's advanced composite shell. 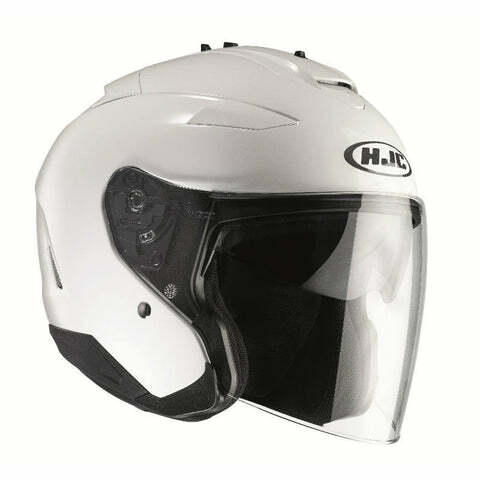 Unlike other open face helmets, you have the option of protection from the wind and any stray bugs or stones, thanks to the superior face shield which gives 95% UV protection, and can be removed or replaced in seconds thanks to the QuicksLIDE tool-less, secure fixing system; making it simple to be swapped out for the included aerodynamic peak! The IS-33 is a lightweight open face style helmet that offers optimum comfort and a high quality fit thanks to it's advanced composite shell. Unlike other open face helmets, you have the option of protection from the wind and any stray bugs or stones, thanks to the superior face shield which gives 95% UV protection, and can be removed or replaced in seconds thanks to the QuicksLIDE tool-less, secure fixing system! 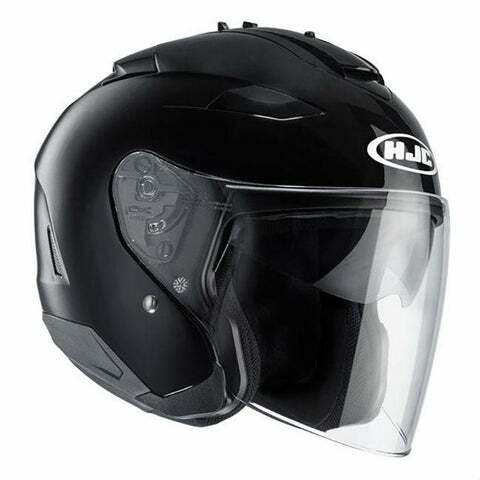 Integrated in to the helmet is a one touch sunshield, to protect your e5 when the sun comes out, without the need for carrying sunglasses; this 3 stage adjustable, smoke tinted shield deploys quickly for fast protection.